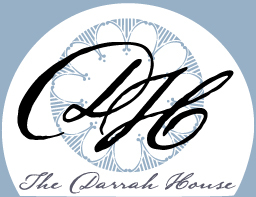 Darrah House, Fort Collins | History. Ghosts. Moustaches. Celebrities of early Fort Collins, the Darrahs both frequented local papers… from the daily “Sanford F. Darrah at Law” advertisement to the comings, goings and happenings of the Darrah House so long ago. At the intersection of College, Mountain & Linden, a nice walk from the Darrah House in 1904. Does something lurk in the basement? We investigate. Mr. Sanford F. Darrah was a fashionable man, keeping up with current trends of the early 1900’s. Here, we examine the moustache. Life at the Darrah House has drastically changed through the years, but it stands as proudly as it did when Sanford F. Darrah began construction over 100 years ago. Then, a time when socialite tea parties and wild-west encounters were all too common, the Darrah House was home to a very popular couple, Sanford and Annie Darrah. So popular, in fact, that their comings and goings made it into the daily newspaper without fail. What started out as glamorous turned to the airing of dirty laundry, and thus we, the present-day occupants, have been led to investigate. Choose a moustache and immerse yourself in our findings. Want to see the modern-day Darrah House?